London: Dr Batra’s, one of India’s well known homeopathy brand, has been given the “Best Healthcare Clinic Award in Europe” at a ceremony in Oxford. The clinic, which had recently set up its London base in Wembley area of the city, was honoured by the Socrates Society of Oxford University and the British Business Society. Dr Mukesh Batra, chairman and founder of the homeopathy chain, received the award at an Oxford Town Hall ceremony this week. “It is an honour to be recognised amongst clinics in 40 countries as the Best Healthcare Clinic. At our clinics we have always endeavoured to provide the best of doctors and medical services to our patients. This is a matter of pride and prestige not only for our clinics but the service and dedication of our doctors as well,” he said. Batra was also presented with a special CEO of the Year award at the event. Earlier this month, Dr Batra’s Clinics was felicitated with the Best Brand of 2015 and Best World Leader 2015 at an award ceremony hosted by PricewaterhouseCoopers and NDTV 24×7 in Dubai. 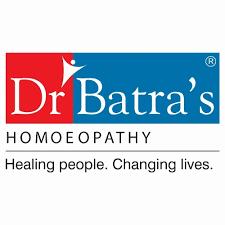 Batra founded Dr Batra’s Positive Health Clinic Pvt Ltd as a patient-driven institution in Mumbai in 1982. From a single-doctor clinic in the city, it is now a chain of 400 medically qualified doctors and 219 centres worldwide, 62 of which are franchise and 157 are company-owned.